Adolescence is a time of rapid development where children undergo marked physical, intellectual, and psychosocial growth. This transitional period between childhood and adulthood usually encompasses the second decade of life, although its onset and duration can vary. In children with chronic illness including asthma, adolescence is an important period for establishing proper self-management and coping skills. In fact, asthma is the most common chronic illness of adolescence (Mannino et al. 1998; 2002). 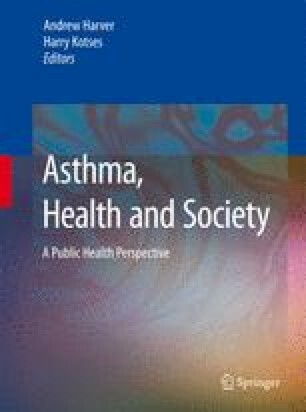 The capacity to manage one’s disease is an essential component of asthma care and is influenced by adolescents’ increasing maturity; growing need for independence and engagement in health risk behaviors. Consequently, effective communication between the adolescent patient, their family, school and health care provider is essential to achieve optimal control. This chapter will review these influences on asthma self-management and discuss their implications for effective patient-provider communication. We gratefully acknowledge Bruce G. Bender, PhD, Head, Pediatric Behavioral Health, National Jewish Medical and Research Center for his invaluable review and suggestions.